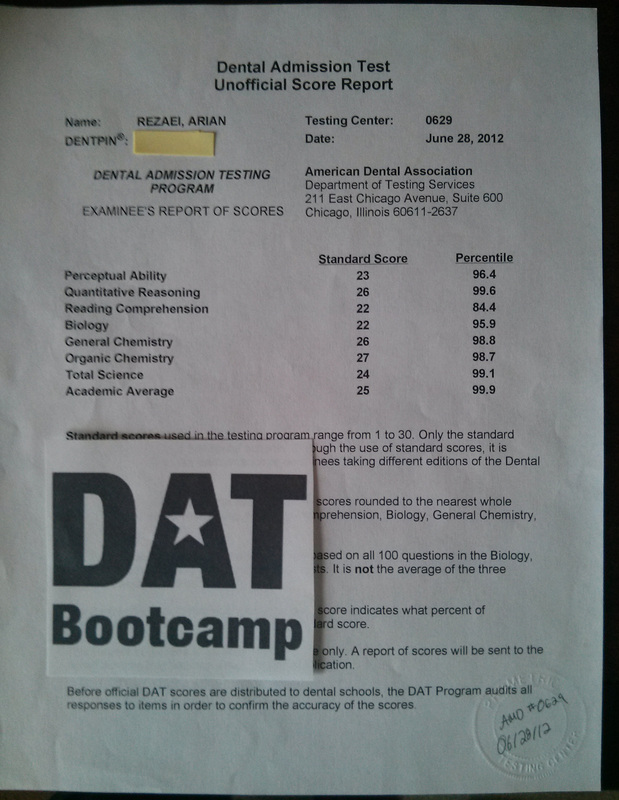 Meet Tejas Patel, a happy DAT Bootcamp customer who recently dominated the DAT. 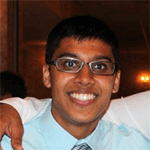 I’ve asked Tejas to share his DAT experience with us as the featured student of September. Take a practice test or go through sample questions to gauge how well you know the material for the science and quantitative reasoning sections. This way, you can gauge how well you know the material and what you need to spend more time reviewing. It also will help you get into the proper mindset of how to approach the DAT. For example, a lot of the general chemistry sections aren’t as heavy on calculations as you’d typically see in a college course. Also, the organic chemistry section won’t be like your typical college class in which you have to draw out entire mechanisms and reactions, it’s multiple choice. Of course, you will still need to know and apply the knowledge gained from your classes. At first, I used DAT Bootcamp as practice to see how well I knew the material before I really dove into studying. After taking the first set of practice tests and seeing how great the answer explanations and user interface was, I decided to upgrade my subscription to all 30 practice tests. The practice tests were immensely helpful during the week leading up to my test day. I used DAT Bootcamp to see how I was doing after studying and seeing if I needed more time or not. I also took each test in a timed setting so that I could build my stamina for the exam and really focus on time-management. Knowing how to take the exam is just as important as knowing the material that is on the exam. I would probably focus a little more time on prepping for the reading section. I wish I had known about DAT Bootcamp’s constantly updated list of articles to read that are similar to the dense, science-based passages that you see on the actual DAT. I only found out about this feature a couple of weeks before my exam and know that if I practiced reading a few articles every day throughout my studying, that I could have improved my reading comprehension score. I also dreaded the angle ranking section of perceptual ability, so I think I would have utilized the angle ranking generator a bit more. It was a really good way to drill myself and not only get better at determining the ranking of the angles, but also in doing the ranking much quicker. My score breakdown is 23 AA, 24 TS, 21 BIO, 26 GC, 26 OC, 20 RC, 23 PAT, 24 QR.